China now holds the spoon! As the operations unfold, so will impacts and repercussions too. It will prove how, China exercises its power within Sri Lanka and the region, pursuing its agendas. Particularly if Chinese nationals are allowed to be recruited for employment, resulting in an influx of Chinese nationals residing within Sri Lanka, there will be room for socio cultural implications and disturbances as well. Even with the existing Chinese employees who work on construction sites, there have been occasional clashes in the civil society. Sri Lanka is a country that have undergone significant political and social upheavals, since the entry of the colonial invaders, starting from Portuguese and British invaders. And we will still experience the irreversible societal effects of such events. Will Chinese be another breed of invaders? Being an Asian country, Sri Lanka should be better skilled at diplomatically dealing with fellow Asian nations. Ninety nine years is an indefinite period and therefore the lease is deemed to be forever. Eventually and inadvertently, the dealings of the Hambantota port will fall under the 70 percent majority control of China. Once again, Sri Lanka has proved that is it sighted in terms of political outlook and weak in decision making. One temporary patch-up leads to a string of issues and these problems probably has no way out. It is true that the citizens are paying the price of ‘graft’, the country’s sovereignty cannot be compromised in the process of addressing this issue. As citizens, people feel that we are under obligation to the terms dictated by China. This deal brings to mind the two famous idioms, ‘exchanging of chilies for ginger’ and ‘from the frying pan into the fire’. The Asian giant China is making its presence felt in a big way by doling out aid in the form of long term loans with interest accruing, making us, Sri Lankans, debtors for generations to come. The Chinese have also invested in large scale projects throughout the country and one can see the involvement of Chinese manpower on these projects. Signing of the agreement between Sri Lanka and China for the development of the Hambantota port, has helped China to further strengthen their stake. Sri Lanka has granted a 99-year lease to China, which in legal parlance is as good as giving outright ownership, as it is beyond a person’s lifetime. This SIS not at all a feasible move made by the Sri Lankan government. In my view, the development and operation of the port should have been agreed upon at least on a 60 percent control being retained by Sri Lanka. China being aware of Sri Lanka’s strategic location in the region, is gradually taking the reins onto its hands to gain the maximum benefit. True that Sri Lanka is heavily burdened with debt and is desperately reaching out to china for aid. Nevertheless, we must not weaken our position further. In this scenario, it is high time that the Sri Lankan government open its eyes and make decisions to safeguard our country, without being under obligation to a particular nation. The answer is, ‘beggars have no choices’. Sri Lanka is basking in the glory of being in the maritime silk route along with China, at the expense of many drawbacks. It looks as if though Sri Lanka is caught by claws of China and drawn into the geopolitics of China and India, while giants such as USA and Japan are keeping their fingers crossed with regard to military and trade powers that China is bound to influence and enjoy. The only reason cited by the Sri Lankan government for signing the recent agreement is the relief of debt payments that would otherwise have been a burden beyond country’s repayment capacity – which is a political loophole made by the government. The signed concessional agreement of the said deal covers development, management and commercial operations of the Hambantota Port, which was built by the Chinese. However, the general public has no access or heard about such terms and conditions agreed by the five parties of the agreement – i.e. SLPA, GOSL, CMBPort, HIPG (port group) and HIPS (port services). We should be cautious as to who will be in charge – whether it is China or Sri Lanka – on sourcing employees, service providers and ship-company operators, as there is a high propensity that China will give priority to themselves. Amidst many protests from trade unions and despite the security concerns, the billion-dollar agreement was finally signed with the China Merchants Ports Holdings, a state-run Chinese firm, selling a 70 percent stake in the Hambantota Port to China. This Chinese firm will run the newly constructed Hambantota Port on the basis of a 99 year lease. While taking over the Hambantota Port has been quite an achievement for China, the neighbouring India is concerned that China might use this deep sea port to dock their military vessels. Despite concerns over the recently signed agreement, now the stage is set for China to realise its ambitions over the maritime silk route. 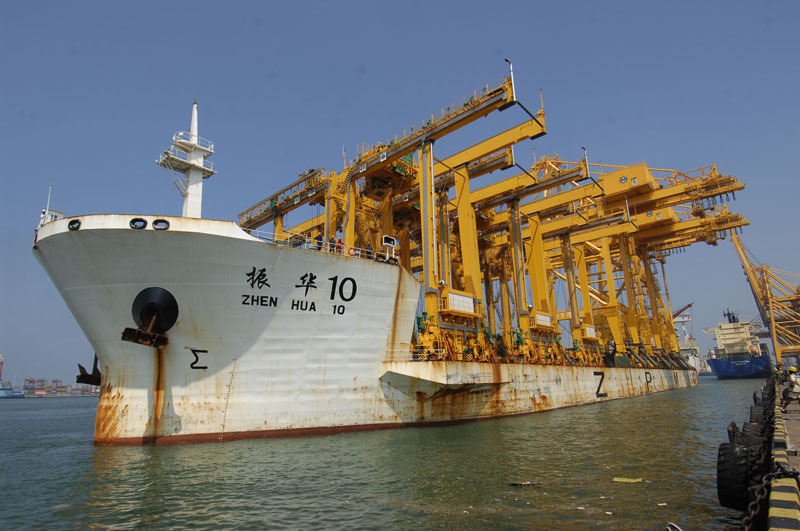 The US $1.12 billion agreement recently signed between Sri Lanka Ports Authority and the state-run Chinese firm, China Merchants Ports Holdings saw the latter buying 70% stake of the controversial Hambantota port for a lease period of 99 years. Sri Lanka might as well have sold it to China forever, because 99 years is an eternity for any mortal.The decision to lease the port gave rise to a wave protests across the nation and created heated debate in the House too. The critics say Hambantota port is an important economic nerve centre that could have built a thriving business supplying fuel to the ships that are passing by. The government in justification of their decision to sell has stated that for the port built on a loan taken from China, the annual debt service commitment is US $59 million whereas by the end of 2016, it’s had racked up losses amounting to US $304 million. As few as 44 ships have been handled by the ports since 2015 according to some news reports. We know the loss-making SOEs eat up the tax payers’ money, but, in the case of Hambantota port,we believe the government should have sought to turn it around through a 51% & 49% public & private enterprise instead of leasing 70% stake of the port for a period of 99 years.